You have maybe seen them on some blogs already (like here)! The amazing Modern Vice Jett Booties co-designed by my blogger friends Natalie and Dylana Suarez! The booties are really awesome, and I really mean awesome and come in a lot of spring/summer-ish colors meaning a lot of pastels! 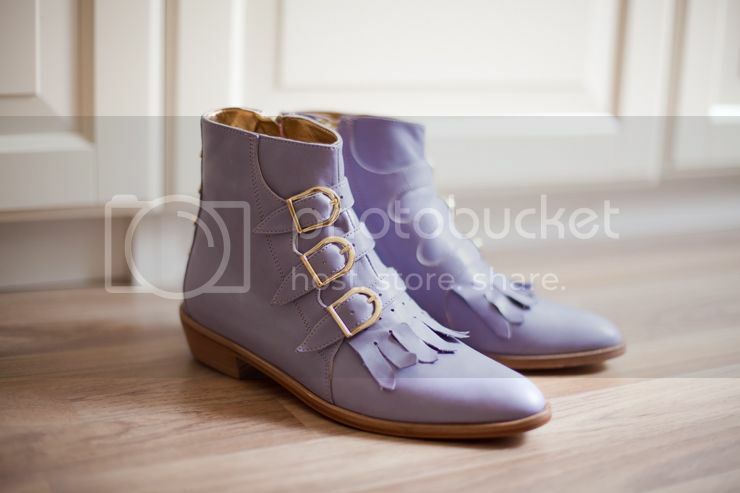 To have these booties in Lilac is just so perfect and sooooo me!! The classic Jett booties come in colors like oxblood, brown, black and yellow (perfect for the non-pastel people) And seriously do check out the other Modern Vice boots too because they are really amazing!